London, UK — BIT.AC, the easy to use European based multi currency crypto wallet is proud to announce the support of 22 new crypto currencies. The new list of coins includes Gnosis, Golem, Iconomi, BAT, Xaurum, Edgeless, Trustcoin, Pluton, Augur, iExec, Melon, Wings, Singular, Aragon, FirstBlood, vSlice, Time, TokenCard, BCAP, Guppy, Lunyr and TAAS. In addition to powerfully performing the functions of a standard digital crypto wallet, BIT.AC enables users to seamlessly and instantly convert one type of crypto currency into another. This represents a step forward in a company’s efforts to bring crypto coins closer to a wide range of users. The platform uses “cold storage” technology to protect servers from the risk of external intrusion. 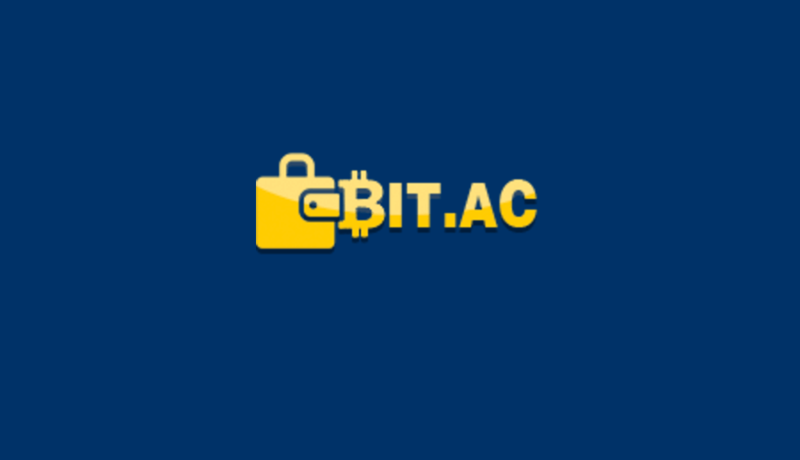 “BIT.AC is simple and easy to use and, as it only takes an instant to open your chosen crypto coin account with more than 35 currencies supported, it also saves a considerable amount of time. Indeed, sending, receiving and exchanging currency has never been more easy,” said Philipp Schnabel, company CEO. BIT.AC, a London-based crypto wallet, has a built-in exchange and accommodates 36 different cryptocurrencies. Since its successful launch in 2015, the BIT.AC wallet allows users to instantly exchange from one crypto coin to another. Supported currencies include Bitcoin, Litecoin, Ethereum, DASH, Monero, Factoids, Lisk, Vericoin, Vertcoin, Namecoin, Novacoin, Ethereum Classic, CLAM, Gnosis, Golem, Iconomi, BAT, Xaurum, Edgeless, Trustcoin, Pluton, Augur, iExec, Melon, Wings, Singular, Aragon, FirstBlood, vSlice, Time, TokenCard, BCAP, Guppy, Lunyr and TAAS and more in the pipeline. In addition to web-based wallets and instant exchange platform, BIT.AC also offers Android application for mobile users. BIT.AC is presently offering affiliates up to 50% commission on transaction fees from client referrals.